Put Out A Yard Sign! 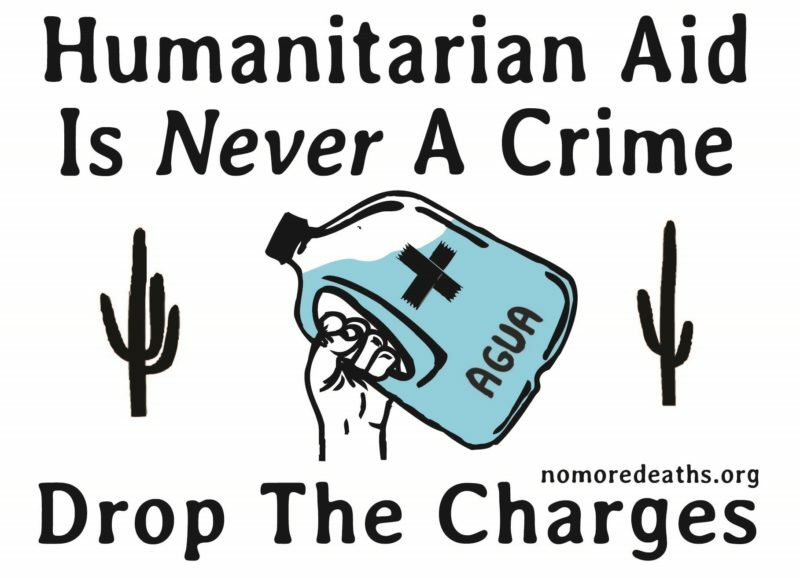 Public support for humanitarian aid is ubiquitous. 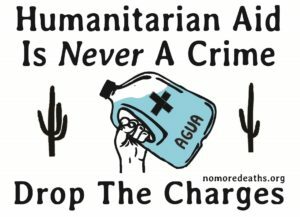 Show the Department of Justice and local prosecutors that we will not be intimidated and that residents of the southwest borderlands stand strong with us in our assertion that humanitarian aid is never a crime. If you’re in Tucson and want to stop by our office and pick up signs for free, contact our campaign coordinator. Home > Legal Defense campaign > Put Out A Yard Sign!